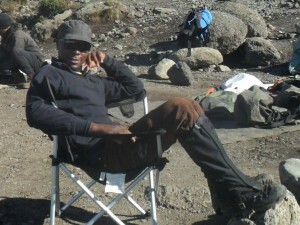 9 Day Lemosho route Mount Kilimanjaro climb. The Nine (9)day On this route we approach the mountain from the west by the lightly-used Lemosho trail. Experienced guides consider this ascent route to be both easier and more beautiful than any other trail and it retains a real sense of unspoilt wilderness, crossing the caldera of Shira volcano, before traversing beneath the southern ice fields of Kibo. Lemosho is a little-used approach route and there is time to enjoy the unspoilt wilderness, and the breathtaking scenery, on Shira Plateau before the convergence with other routes in the later stages of the trip. 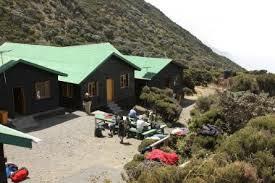 This package also take you to have one night camping at crater. The final ascent to the summit is made along the Barafu route, often providing stunning views of Kibo. 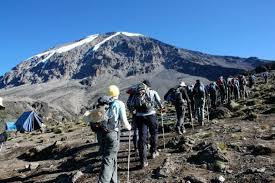 8Day Machame route Mount Kilimanjaro climb. 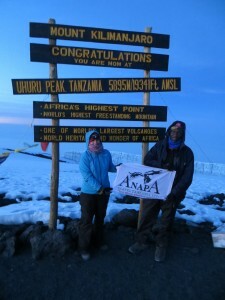 The Eight (8) day Machame route package approaches Kilimanjaro through forest and moorland from the south-west, and joins the Shira route before traversing beneath the southern icefields of Kibo. The rainforest is extremely beautiful and there is a tangible sense of ‘wilderness’ once the higher elevations are reached. The views of Mt. Meru floating on the clouds are simply unforgettable, and we make our final ascent to the summit by the stunning Barafu route. The seven day itinerary gives maximum possible acclimatisation, and also gives us plenty of time to enjoy the magnificent scenery. We avoid the crowded Marangu route on Kilimanjaro, preferring to approach the mountain from the north by the lightly-used Rongai route. The Rongai route starts just south of the Kenya-Tanzania border and has been almost unused for many years because the area was considered sensitive. Now open for climbing once again, experienced guides consider this ascent route to be both easier and more beautiful than the main Marangu trail. 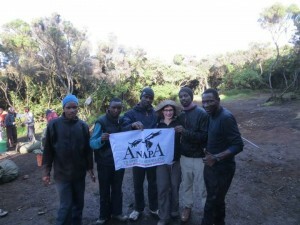 The Rongai route begins in attractive farmland and delightful forest, with the possibility of wildlife viewing, and passes through several different climate zones, adding considerably to the interest of the trek. The Eight (8)day Marangu route package, often called the ‘Coca-Cola route’, is used by almost 50% of all climbers and has comfortable mountain huts with solar power lighting. The views are beautiful and each day of walking progresses through a different climate zone. The real highlight is the walk from Gilman’s Point along the crater rim to Uhuru Peak, passing close to spectacular glaciers and ice cliffs. The views on a clear morning are magnificent, with the Rift Valley, Mt. Meru, and the Masai Steppes clearly visible. We also add an extra day to the standard six day itinerary to ensure maximum acclimatization. Descent is back to Marangu Gate; this route is typically completed in 6 days allowing for good acclimatisation. Gilman’s Point (92%). Uhuru Peak (94%). 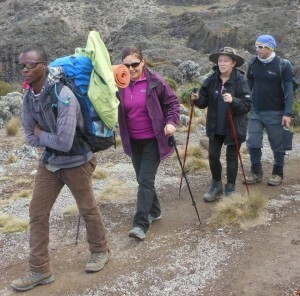 6 Day Umbwe route Mount Kilimanjaro climb. The Umbwe route has a well-deserved reputation of being the most challenging route on Mount Kilimanjaro. 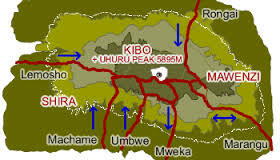 The Umbwe Route is the hardest you can choose if you wish to climb Mount Kilimanjaro. The first 2 days are very steep, so steep that in places you use tree roots to haul yourself from one ledge on the forest trail to the next. Those adventurous climbers that climb the Umbwe Route reach the Barranco Camp in 2 days, something that takes 3 days on the Machame Route and 4 days on the Lemosho Route. 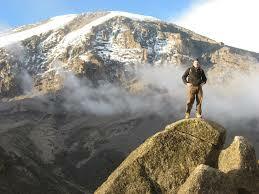 For those that are seeking the ultimate climb of Mount Kilimanjaro, summiting via the Western Breach is for you. Umbwe is considered to be a very difficult and taxing route, one that should only be attempted by strong hikers who are also confident of their ability to acclimatize to the high altitude of Mount Kilimanjaro. This is still not technical but is very tough. For those that dream of pushing on beyond what they thought imaginable and completing a truly amazing physical feat, this is the climb for you. The 4Days to Meru mountain lies within a National Park, it is common to encounter some of the area’s birds, rhinos, elephants, buffaloes, giraffes, warthogs, and black and white Colobus monkeys on the first day of your journey to the summit. For this reason, you will climb with a Park Ranger who takes your safety very seriously. Many will say that Mt. Meru is not a difficult climb compared with Mt. Kilimanjaro, because of its lower elevation, shorter distance, and comfortable sleeping arrangements, but this is not a mountain to be taken lightly. The climb to the summit is rigorous, involving some steep ascents over rocky inclines and narrow ridges to traverse. It is therefore challenging yet rewarding and a beautiful mountain to experience. On arrival at Entebbe Airport, a guide from ANAPA Travel will meet you and transfer you to Kasese and over night at Hotel Margherita for Bed and Breakfast depending on time of arrival. This evening, your guide will go to the park headquarters and the Rwenzori Mountaineering Services concessions to arrange payments, rent equipment and select guides and porters for the following day’s journey. This morning, you will begin your hike by leaving the park head quarters (5400ft 1,646 m), walking past typical “ wattle and mud” Buhonjo homes and gradually moving upward through elephant grass and garden plots. It takes approximately forty minutes to reach the National Park boundary (which can be a pleasant half or one day trip for someone not going further). The trail then follows the Mahoma River after about two and a half hours. After crossing the River, you will have a very steep climb through open bracken fern slopes and Podocarpus forest up to Nyabitaba Hut ( 8,700 ft/ 2,652) reached about an hour and a half past the Mahoma River crossing. During this part of the trip, you may be able to see Chimps and some times behind the Hut you can see Black and White Colobus and Blue monkeys and catch glimpses of the brilliantly -colored Rwenzori Touraco ( a bird of the tree tops). Over night at Nyabitaba hut with full board accommodation. Day 03: Nyabitaba Hut- Nyamileju Hut. From Nyabitaba Hut that trail leads westward for a half km then drops north (right) steeply to Kurt Shafer Bridge, crossing below the confluence of Bujuku and Mubuku Rivers. By turning down the bridge you begin the circuit counter clock wise. After crossing the Shafer Bridge, the muddy slippery trail climbs steadily up through bamboo forest. After one and a half hours you encounter an area of slippery boulder hopping which many hikers consider the most difficult and dangerous footing on the circuit. Over night at Nyamileju Hut. Nyamileju means “ a place of beards” referring to the lichen and spanish moss draping trees nearby. On a rare day, Mts. Stanley and Speke can be seen from the top of the rock near the Hut. After breakfast, you will continue to John Matte Hut (11,200 ft3, 414 m) which is through a tiring bog full of these extraordinary plants and the slow pace can be a delightful chance to examine and photograph this unique environment. Well situated, John Matte is newly constructed, large and comfortable though muddy around the site. Hikers who feel they have reached their limits by this point should consider John Matte a reasonable stopping point. You can just enjoy the unique vegetation in the bog and the great views and the following day begin you return to Nyabitaba hut. You leave John Matte Hut to cross the Bujuku River and enter the lower of the two Bigo Bogs, where your first real experience jumping from tussock to tussock in a grassy bog begins. The trail is very muddy and follows the left (southern) edge of Lower Bigo Bog until eventually it reaches the round metal “uniport” of Bigo Hut and it’s rock shelter. A steep section past the hut leads to upper Bigo Bog. In the last half of this bog a board walk has been constructed. Though some may think it an ugly intrusion, it makes walking easier and keeps hikers from further damaging the bog. An hour and a half beyond the upper bog, and after climbing through drier ground and crisscrossing the River, you reach Bukulu Lake. The southern end of the lake is a majestic setting, with Mt. Bakerto the south, and views west to Mt Stanley and north to Mt. Speke. Beyond the north end of the lake is a rock shelter called Cooking Pot and a short distance further is Bukulu Hut( 13,000ft/3,962m),favourably located for parties climbing Mt. Speke. start hiking back to the park head quarters. After breakfast, you will probably begin very early if you decided to make it all the way to the Park Headquarters and complete your trek (8 hours). The other alternative will be to spend a night at the Nyabitaba Hut. Day 08: If added a day on mountain. Start hiking back and complete your trek by the evening. On arrival at the Park Office, visit a simple restaurant developed by a local ladies group for a beer and a luxurious candlelight meal. Overnight at Hotel Margherita Bed and breakfast. After breakfast, drive to Queen Elizabeth National park to end your trip with relaxation at Mweya safari lodge. Have an afternoon boat trip and later an evening game drive. Spend the whole evening relaxing by the swimming pool and dinner and over night at Mweya lodge for full board meal. Have a morning game drive and later transfer to Kampala and later catch your flight back home depending on International departure times.